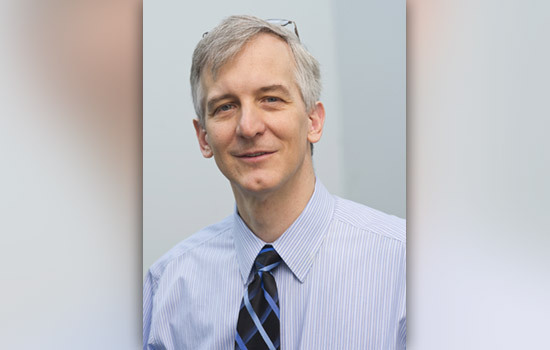 A leader in the field of environmental imaging research has recently joined the Rochester Institute of Technology Chester F. Carlson Center for Imaging Science. Charles “Chip” Bachmann, the new Frederick and Anna B. Wiedman Professor in Imaging Science, comes to RIT with 23 years of experience as a civilian research scientist at the Naval Research Laboratory in Washington, D.C.
Bachmann specializes in coastal remote sensing and image processing. He most recently headed the Naval Research Laboratory’s Coastal Science and Interpretation Section in the Coastal and Ocean Remote Sensing Branch. He has planned and executed campaigns to collect measurements of physical and optical properties in water and on land around the world. He holds two patents, with a third pending, for software developed to synthesize aerial imagery and ground truth into physical models. Bachmann’s research program at RIT will focus on developing digital models across different coastal types. His research will account for various types of sands and sediment found along coastlines and the effects of inundation of water and the drying process, among other dynamic variables.